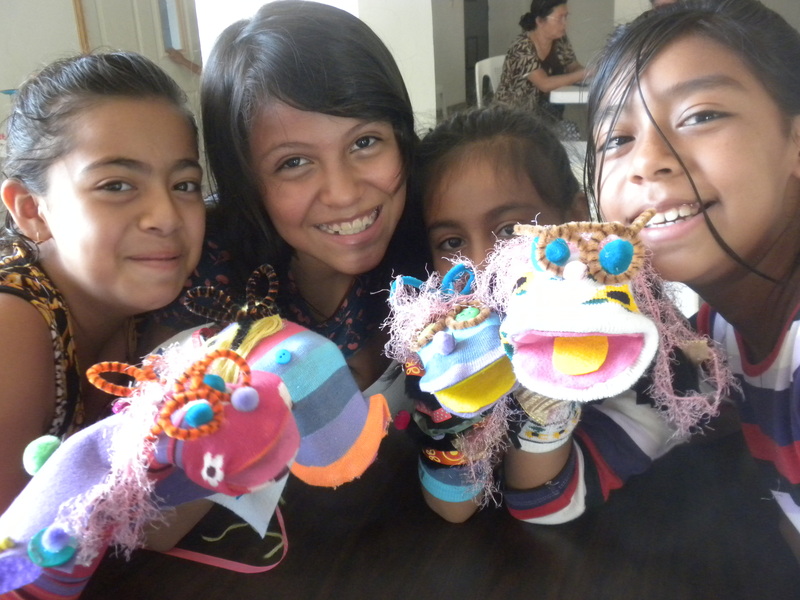 Students in Ilobasco show off their sock puppets. After traveling to Canada and Armenia, my final adventure of the summer season was heading to two different countries in Central America to teach puppet workshops. 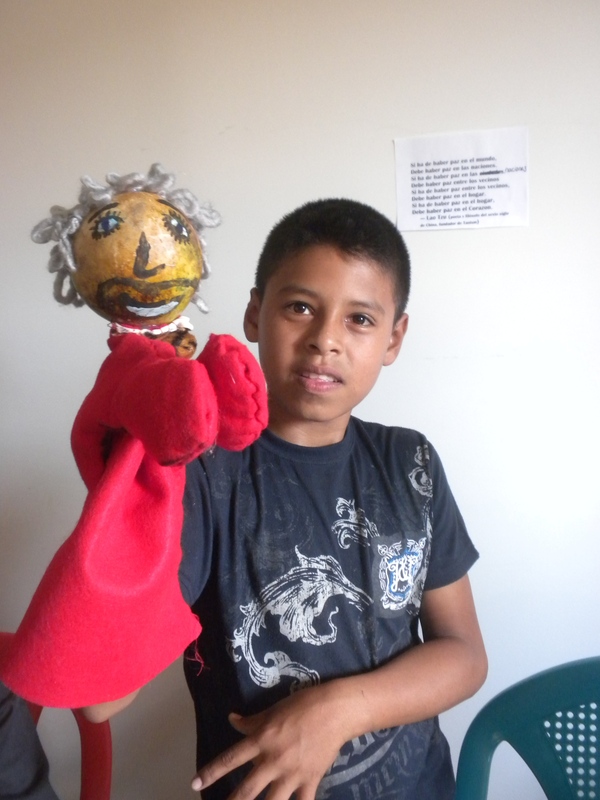 Under the auspices of the non-profit Co-partners of Campesinas, I was invited to teach puppetry to students in the towns of Ilobasco in El Salvador and Chichicastenango in Guatemala. A teen from Ilobasco with his hand puppet. The head is made from a gourd that grows locally. These two workshops were structured very differently. In Ilobasco, students ages 6-25 were grouped by age for a week long art and conflict resolution workshop during a school holiday. Due to changing school schedules, transportation challenges and family obligations, there were different numbers in the classes each day and not all students were able to stay for the entire workshop. 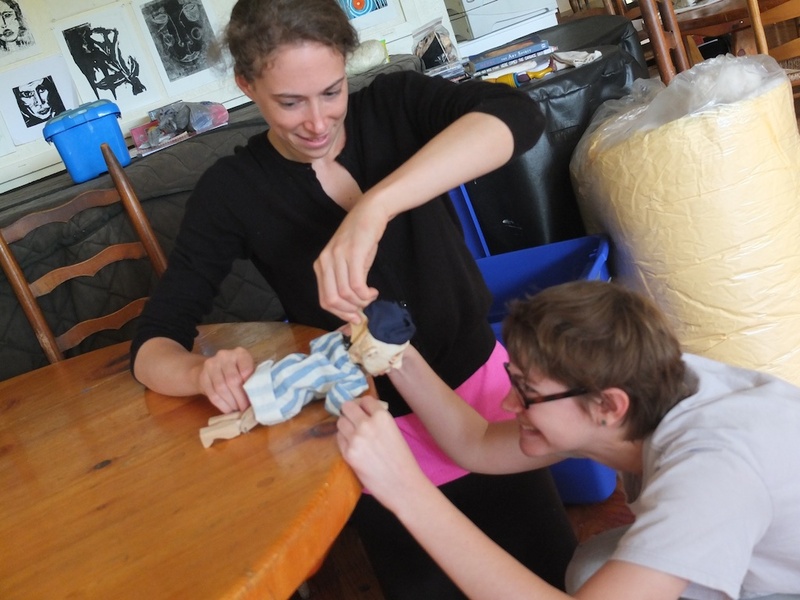 Despite this, the younger students built sock puppets and used them to invent short scenes while the older students experimented with constructing hand puppets that used local gourds as heads. 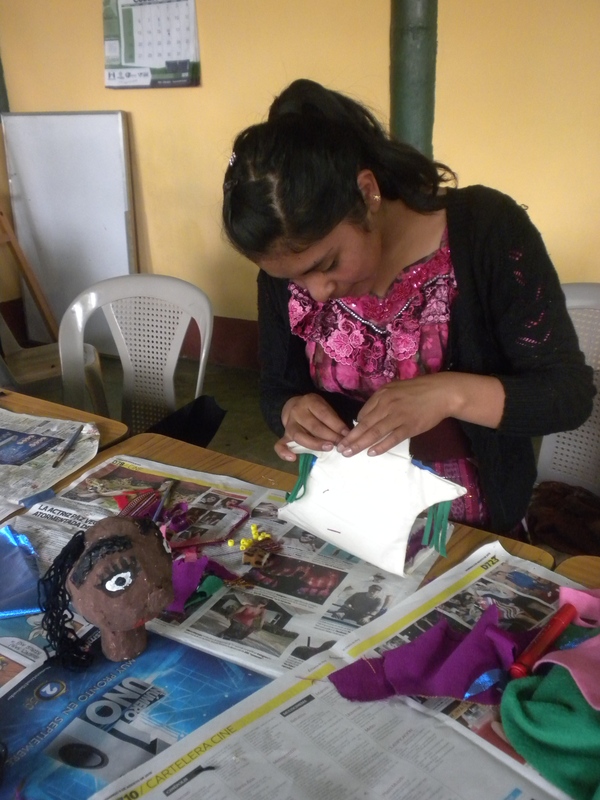 A student in Chichicastenango sews her puppet’s body. In Chichicastenango, the workshop was hosted by a community organization called ASDECO and lasted for five days. 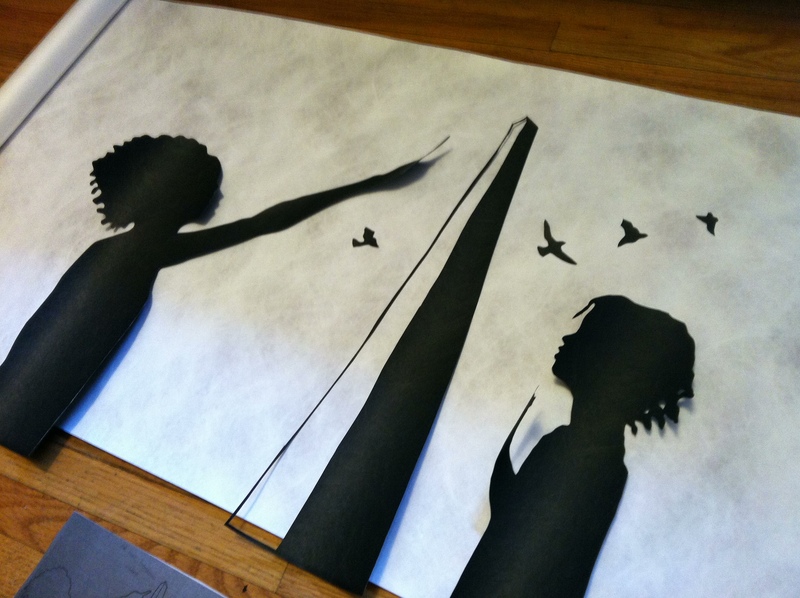 I had a class of about 20 students, mainly teens and young adults, with some older participants, who made paper mache hand puppets. Unlike in El Salvador, where the focus of the workshop was creative expression, this one was intended to further the cultural goals of ASDECO who are dedicated to preserving and sharing the indigenous Ki’che culture of the region. 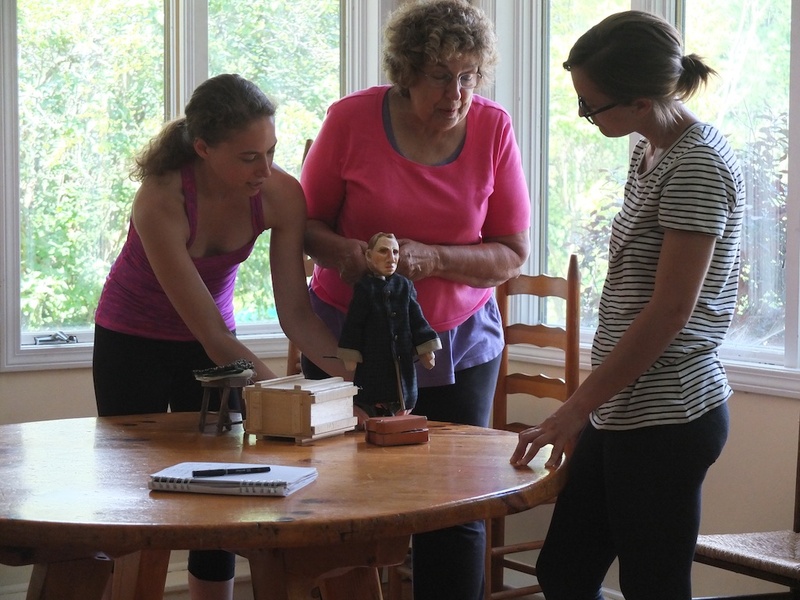 Magdalena, an ASDECO staff member, led discussions about the traditional Ki’che stories of the Popol Wuj, which the students then turned into a short puppet play. 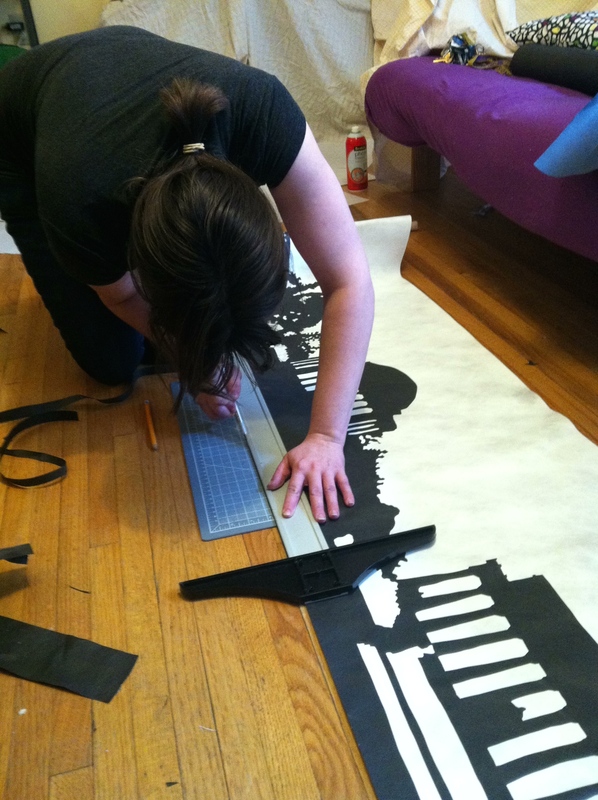 I taught the group to construct hand puppets of the play’s characters with paper maché heads and cloth bodies. 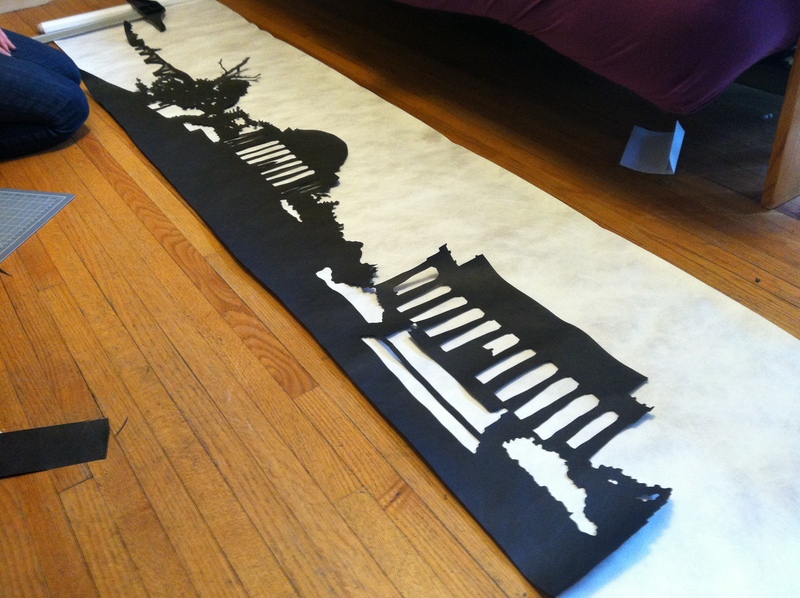 The finished piece was shared with the center’s staff and other community members on our final day. Puppetry is not a very common art form in Central America. 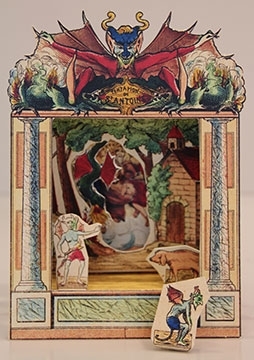 Few of my students in either Ilobasco or Chichicastenango had ever seen a puppet show and usually it was on TV rather than live. It was wonderful to see the students making creative decisions as they built their puppets and sometimes using other skills such as embroidery or beadwork to add to puppet clothing. 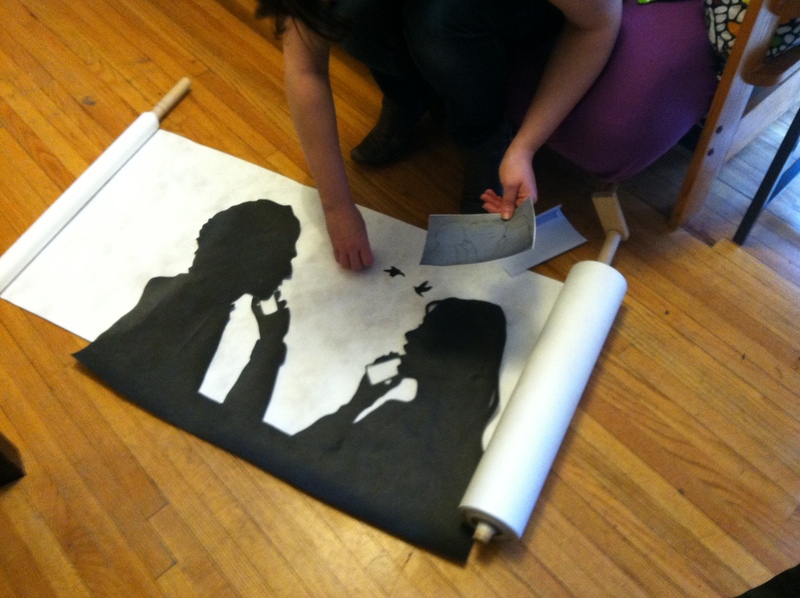 I’m looking forward to seeing what else these artists create in the future. 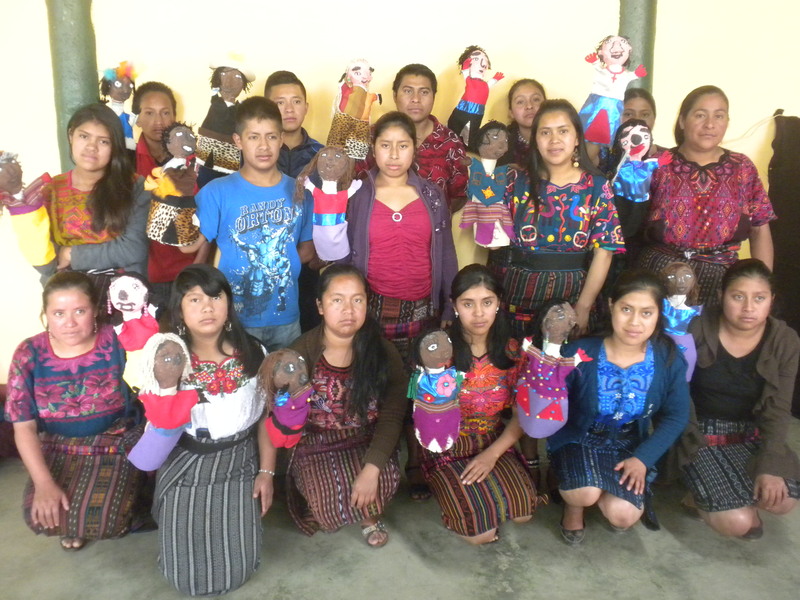 The class in Chichicastenango, with their puppets.